7093 - 2012 Agera R "BLT"
This Agera R was shown at Lergokarallyt in August of 2012. It was delivered to China by way of Vietnam. It was subsequently seized by customs due to unpaid import taxes. Its current whereabouts are unknown. Dark blue tinted carbon, with a clear carbon center section on the front bonnet. 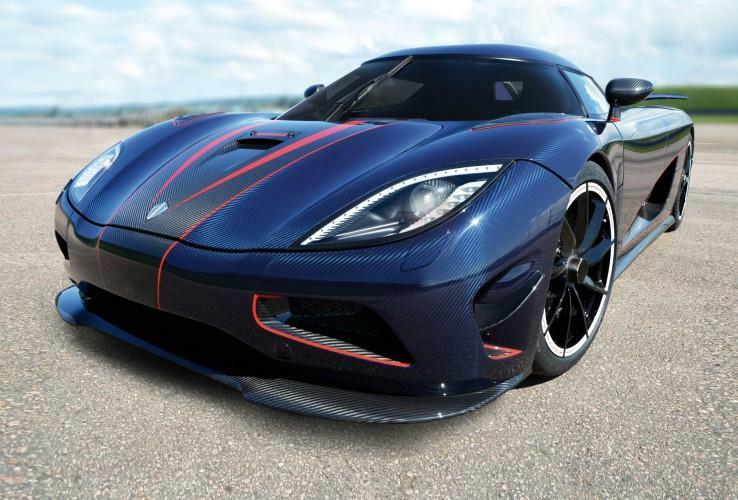 Red "claw" stripes, and red pinstripe accents. 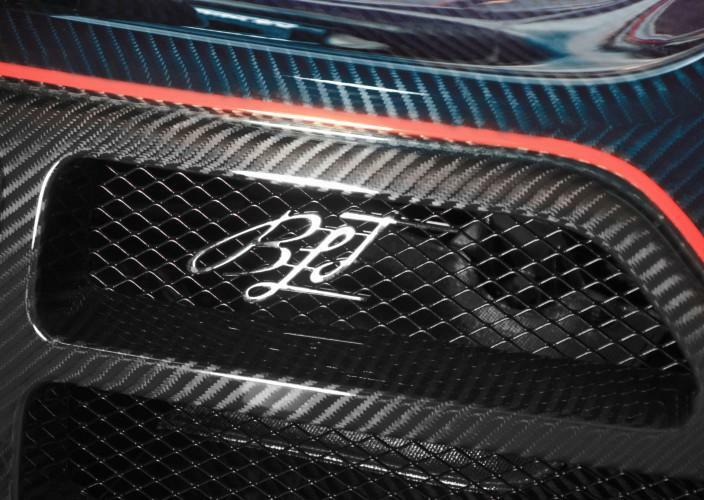 Clear carbon air intakes and other details. Chrome "BLT" logo on rear panel screen. Blue tinted carbon dynamic rear wing with red pinstriped clear carbon stripes and wingtips. Black VGR (Vortex Generating Rim) wheels with white rim. Gold brake calipers. Blue and dark grey leather, with light blue stitching. In certain lighting the blue leather will appear nearly purple. 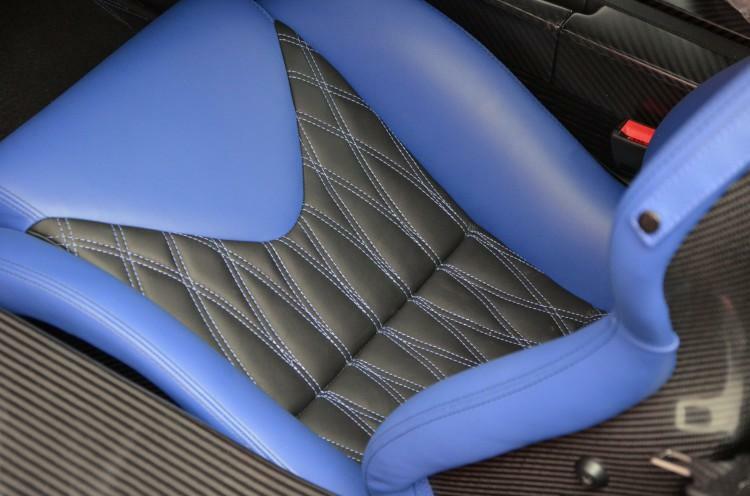 Blue leather on the steering wheel, aluminum console center section.